My wall of lime green. I spend Sunday working on and fishing up all my lime green blocks. This is what I love the wall filled. Six migrating geese. The geese are back for a week now. Not sure they got the note that spring would be a month late this year. 12 pin wheel blocks. Love these little cuties. See some will have the other colour. Yellow, I worked hard on my box of yellow. Cutting down some strips in the the smaller squares I need. Sorting and ironing and just a good old clean up. I will get some blocks of yellow done this week. 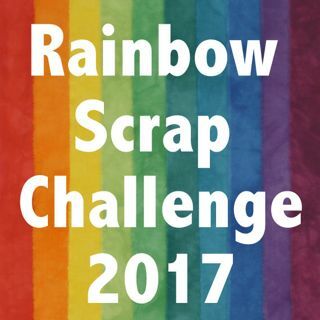 I have linked up with Soscrappy and the Rainbow Scrap Challenge. Today I go to the Red Deer Quilt Show. So much fun. I got an invite to be driven so I have friends to go with too. Best got on the road. Yep, your lime wall looks sooo yummy. You got alot done for March. I love a full design wall. Yours is wonderful. Mine looks a bit empty today. Have fun on your road trip adventure. looks like a great haul of yellow green loveliness. Today I am also preparing the yellows. Have a great time at RD show. So often there is a lot of work in prepping the scraps that is just as important as sewing them together! All your blocks look great! I love the term "poverty piecing." Sounds right to me! Poverty pieced is a new tame to me, so appropriate. Those two tone strings are really stunning. You have done a masterful job with your greens. Keep up the good work! OMG, everything is so bright and beautiful. Looking forward to your yellow blocks. What gorgeous Quilty goodness! All your blocks are just mouth-watering!! Lots of nice blocks here for future quilts. I was at the Red Deer Quilt Show with friends on Friday, we also stopped by The Peaceful Patch Quilt Shop in Blackfalds and the Urban Farmhouse in Red Deer. I was able to find some fabrics to add to my collection. Oh my goodness...your design wall is not just full...it's overflowing with scrappy goodness! How wonderfully inspiring! Way to go! Nice post. Interesting images. Thanks for sharing the post.